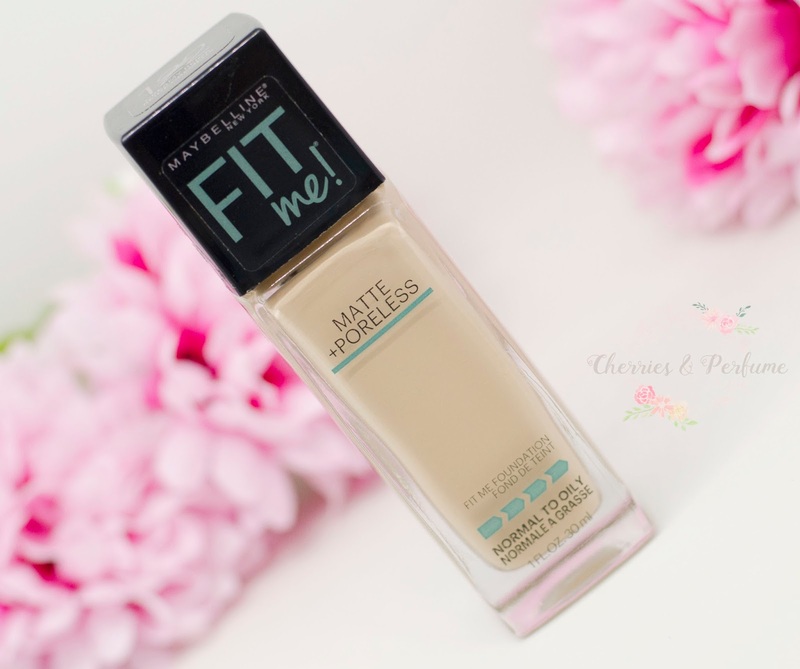 Hello and welcome to today's post, which is all about Maybelline's Fit Me foundation! I have both the Matte + Poreless (shade 122 Creamy Beige) and the Dewy + Smooth (shade 120 Classic Ivory). I've been using the Matte + Poreless one for a couple of years and so far I have very few negative things to say about it. For the most part, I really enjoy this foundation. The formula is nice consistency that's more on the runny side without being too watery. Generally, I either apply this with a damp sponge or my fingers, both work well with this formula (as does a brush but I just prefer to use a beauty sponge). I really like that it does dry down matte like it claims though I still use a powder on top because I can get oily on my forehead and chin. My favourite one to use is the Australis Fresh and Flawless pressed powder and I am yet to find a powder that I like better (if you have recommendations please leave them in the comments!) As for the lasting power of this foundation, I would say that it doesn't last all day but I have no problem going through a uni day or work shift. It's almost never that I wear foundation for the whole day anyway because I do have acne prone skin and prefer to not have face makeup on for too long. Oh and the main thing I love about this foundation is that it doesn't break me out more (that's a must with any face product for me). Coverage wise it is light to medium. I still use concealer on on breakouts but it doesn't build to a cakey finish. Now the very few negative points. There have been a few times where I noticed that this foundation clung to some dry patches. I have combination skin and sometimes it's super oily whilst being super dry at the same time and those are the days that I find most foundations create a bit of a dry and powdery finish. On those days I usually just take it off and wear no makeup at all. Like I said, this has only happened a few times and for the most part, this foundation works really well. All in all, I would recommend it to friends and I would repurchase. The Dewy + Smooth version is very similar but just like it claims, the finish is dewier. I purchased this one for the first time a few months ago in my Maybelline Haul and I like it more than I thought I would. Initially, I was nervous that it wouldn't work well on my forehead and chin as those areas get oily. But with the same powder I mentioned before from Australis I don't find that it's too dewy on my skin. It doesn't accentuate the dry patches as much (but for some reason on those skin days that just aren't working it also has the same problem as all the other foundations I've tried). Again, it's not often that I have issues with these two foundations but my skin just isn't the smoothest or clearest and that makes it a little more work. I generally do really like how these foundations sit on my skin as they blend easily and appear nice and natural. Have you tried any of these? I'd also like to know if you have a holy grail face product? 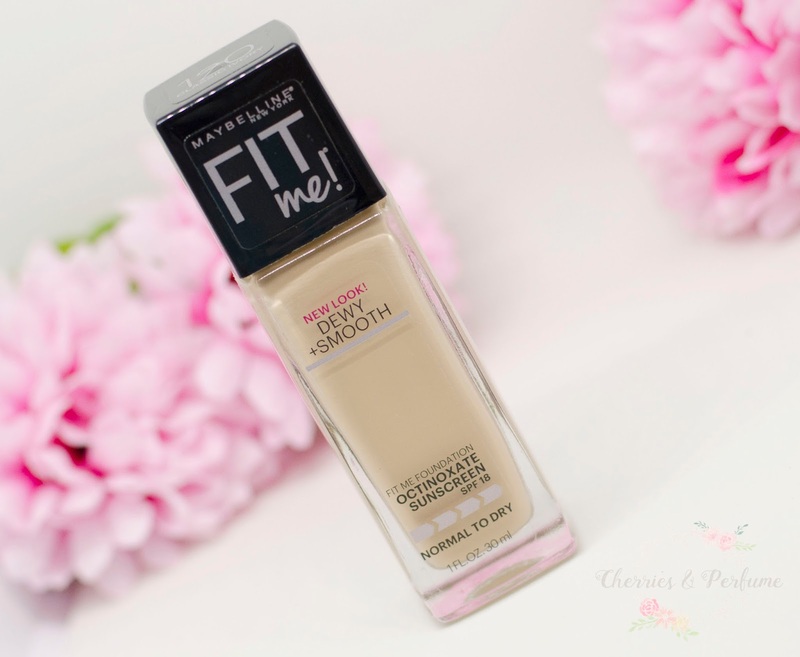 Maybelline's Fit Me was my favourite foundation for the longest time, but I'm trying to go cruelty-free with beauty so I never repurchased it :( hopefully I can find a CF dupe! 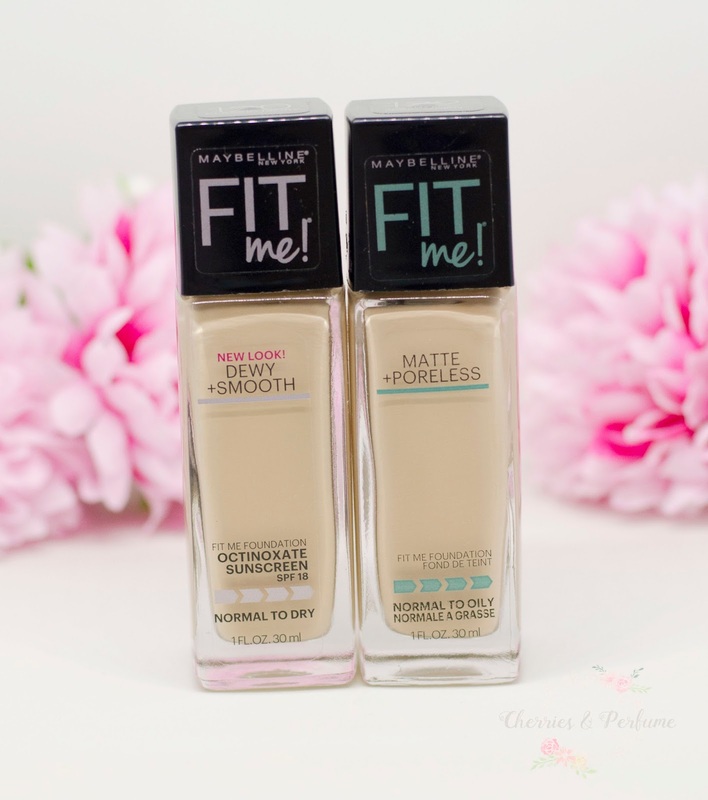 I love Maybelline products and these foundations look good too :) Nice Post! That foundation sounds so good. I really want to try the dewy and smooth version, its sounds amazing! I like the sound of the dewy foundation, but I have to say that I am a devoted Nars fan :-) Maybe I should try this to switch it up! I've heard a lot of great things about the Nars foundations so I will be trying those in the future!